The ultimate identification guide to psilocybin-containing mushrooms! 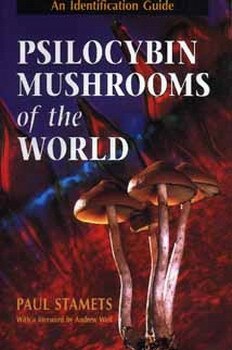 "Never before have photographs and descriptions of so many 'magic mushrooms' been assembled under one cover. The species depicted in this book have played a unique and provocative role in human history, but they are not among the easiest mushrooms to recognize. This book shows you how. It is full of clear, accurate information and sound advice, and it will appeal to anyone wishing to expand their psychic and mycological horizons." "The information [presented here] is the raw data that can fuel and illuminate many a debate in anthropology, primatology, linguistics, and archeology." "Accurate, comprehensive, and entertaining . . this book is a trip -- propelling us right into the next millenium."